This engrossing book, a brilliant blend of biography and criticism, tells the story of Feng Zikai (1898-1975), one of the most gifted and important artists to emerge from the politically tumultuous decades of the 1920s and 1930s. Barme provides a closely woven parallel history, that of the life of writer-artist Feng, who was also an essayist and a translator, and that of China's turbulent twentieth century. He investigates Feng Zikai's aesthetic vision, its development, and how it relates to traditional and contemporary Chinese cultural values and debates. Although Feng was known for his so-called casual drawings, he was reluctant to classify his art. According to Barme, much of his writing and painting was rooted in a philosophy of self-expression. Difficult to position in relation to existing Chinese political and social nomenclature, Feng remains, to a large extent, an enigma. He was sympathetic to the average person and the impoverished peasant, yet he was a romantic, and often identified with the increasingly politicized intelligentsia. A devout Buddhist, he was a close observer of nature and children, and while his art appeared gentle, it often carried a strong message. 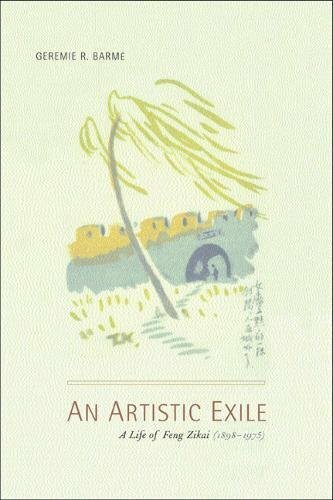 Much has been written about Feng Zikai, a figure who has become popular among elite and mass audiences in the Chinese world once more, but no other work has examined his place among May Fourth writers and intellectuals nor his position within the context of China's artistic, religious, and literary tradition. An Artistic Exile moves straight to the heart of debates surrounding modernization, religion, science, the essence of a tradition in an age of colonial modernity, and the ethos of political and social thought in twentieth-century China.